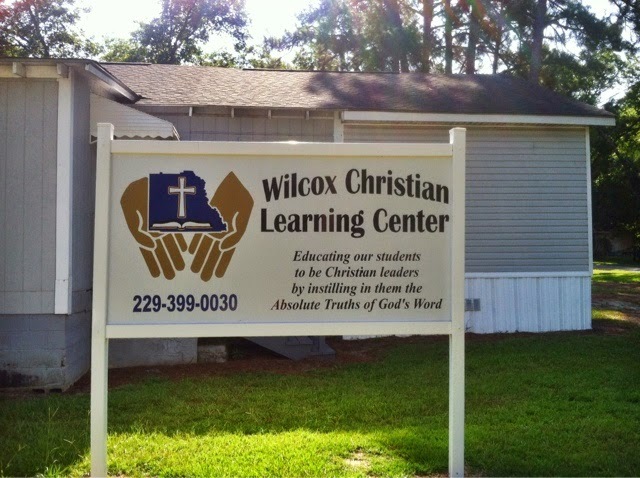 Late last summer I began offering Christian counseling services in my community and surrounding areas. I shared the news on here a couple of times, but I never got around to posting the pictures of my office space at the center. 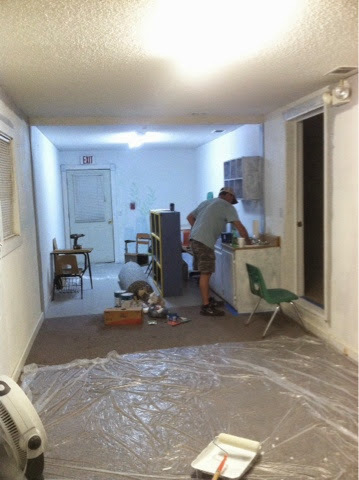 I ran across these old photos taken on my phone of what the room looked like before.....minus the painted Care Bear murals we had already primed over! And I finally got around to taking some descent pictures of the space now. The old house had previously been turned into a daycare and my office space had a divider separating the room in two separate areas. To keep costs down, we didn't worry about putting down one type of flooring in the room. We just cleaned the carpet and I opted to separate the areas into two separate spaces. One for my office area.....the back part for storage/supplies. 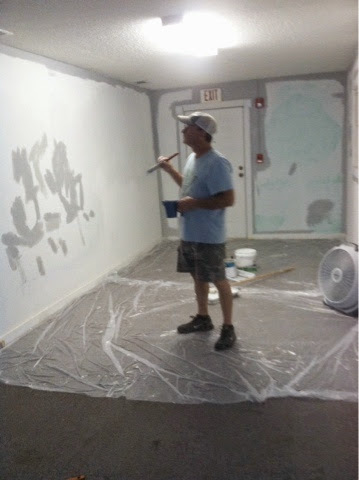 You can see in the picture above that Scott was still trying to cover up the mural. It took several coats, but we were finally able to make it disappear. There is a front and back entrance to this space, as well as a door that goes into the main classroom. This view is from when you walk in the front door. I used two tall book shelves from Target to act as a room divider and still offer easy access to the back part of the room. Yes, that's a diaper changing table you see back there! Ha ha! We just painted it and the cabinets back there with a fresh coat of white paint. I thought they'd come in handy as storage. This long book shelf was actually part of a cubby system that was left over in the building. We gave it a fresh coat of gloss black paint and it holds some of my text books and pretties. The room is painted a light gray color and I think the black furniture looks great! The small desk and chair are also from Target and the book shelves offer a convenient spot for supplies and pretty accessories. I had my diplomas framed at Hobby Lobby and I love how they turned out! I chose frames and matting that would look good not only in this office space, but most any room. A friend gave me the black and metal computer desk you see in the back. I use it as another work space and for extra storage. Unfortunately, there is not an outlet in the old "diaper changing area". My original plan was to set up a coffee station right here for my convenience. With a small sink there, it would have been a perfect spot, but that plan's on hold right now. My bulletin board makes me smile when I look at it. My eyes go directly to the little cloth dolls I used to make. Those little dolls is where "God's Gals" first began. And of course, I have a few of my "God's Gals" children's book on hand. I made copies of my favorite picture from each story in the book and framed them along with a picture of me and the illustrator (my son, Dillan). I had so many books and other ministry related supplies at my house for so long, it's nice having a place dedicated for them. When I need something, it's convenient for me to find it now without having to dig through boxes and closets. When I first accepted the offer to counsel here, I was of course excited, but also a little afraid. I've been trained and educated to do this, but it's also a huge responsibility. I'm learning to trust God to help me and give me the words that I need. People go through so many things in life and it can affect them in so many different ways. But there is one thing that remains the same and that is God's Word and His love and faithfulness. He always meets us where we are and offers the peace and encouragement we need in times of trouble if we will only turn to Him.